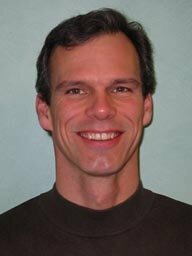 David has been a full time practicing massage therapist since graduating from the Connecticut Center for Massage Therapy in August 1998. He also holds a Business Management degree from the University of Connecticut. As a Connecticut licensed massage therapist, David’s goal is to help his clients maintain wellness through the reduction of pain and stress. He skillfully combines long gliding strokes, trigger point, acupressure, friction, deep tissue work and stretches to meet you individual needs. Generally, he works from broader, lighter strokes toward deeper, more specific techniques allowing tense areas to release slowly within your comfort range. David’s massage employs a slower more relaxing pace, helping to release the mind as well as the body.